Americas Best Value Inn and Suites Lexington Park offers the most value for your money when staying for business- pleasure- or just passing through. We offer clean spacious rooms- a guest laundry facility- an outdoor pool *open May 31st to September 8th*- and free Wi-Fi throughout the property. All guest rooms include microwave- mini-fridge- coffeemaker- hairdryer- satellite TV- HBO- Showtime- ESPN- free local calls- and wake-up service. Take advantage of our extremely comfortable beds and relax while saving money year-round with our Kids Stay Free Policy *11 and under in parent*s room*. We are pleased to offer a weekly rate. Please contact the property for more details. For your convenience our hotel offers both smoking and non-smoking rooms. Pets are welcome- charges and restrictions apply. We are centrally located off Route 235 we are near to local attractions such as Embry Riddle Aeronautical University- Patuxent River Naval Air Museum- and James W Henderson Park. We are located in between gate 1 and 2 of the Patuxent Naval Air Base. Americas Best Value Inn and Suites Lexington Park is your best choice for the *One of the Nation*s Fastest Growing Micropolitan Areas . * We offer ideal accommodations and location whether you are in town for vacation- business- or simply passing through on your way to Washington DC or Baltimore. At Americas Best Value Inn and Suites Lexington Park our goal is to provide our guests a great experience- not just a place to stay. At Americas Best Value Inn and Suites Lexington Park- We*ve Got You Covered from the time you hit the road until your head hits the pillow. Popeye*s Chicken and Biscuits: 0.3 mi. Lexington Restaurant and Lounge: 0.6 mi. Hong Kong Restaurant: 0.5 mi. Sawatdee Asian Seafood: 1.4 mi. Captain Pats Seafood: 0.2 mi. The Spirit of Mexico: 1.2 mi. 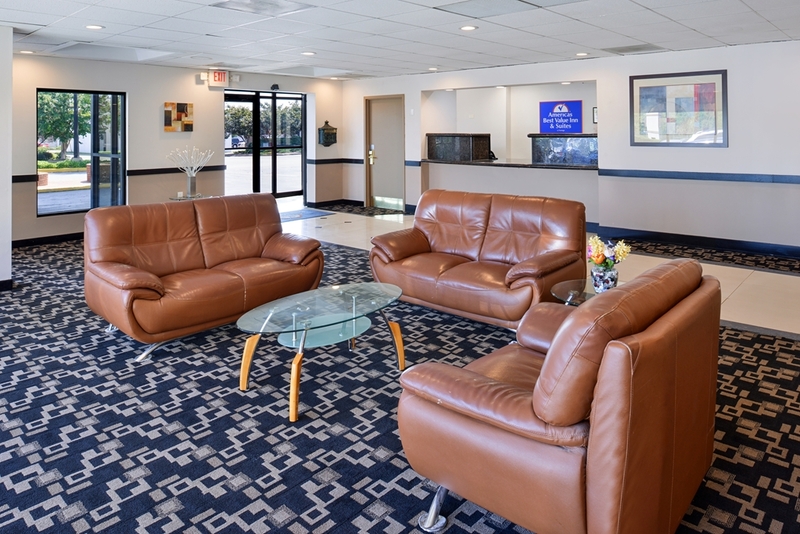 America Best Value Inn and Suites Lexington Park is located off Route 235 and nearby to local attractions such as Embry Riddle Aeronautical University and Patuxent River Naval Air Museum. Our address is 21847 Three Notch Road- Lexington Park- MD 20653.